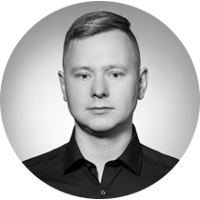 My name is Michał Wojtas and I manage projects, mainly in advertising and IT. These range from building simple websites to complex web and mobile apps and ad campaigns. This website is about what can I offer you as a one-person subcontractor or an employee. The Skills section sums up what I’ve learned so far and I can offer your company and your projects. Rules gathers principles I stick to in Project Management. This information is supplemented by the Projects and Clients section which presents types of enterprises I took part in, and their sponsors. On this website you can also download my CV as PDF file. If my profile looks interesting enough, please contact me. I’m currently based in Berlin, Germany and may relocate if needed. Good knowledge of processes in graphic design, coding and programming of web and mobile apps, as well as different experts' roles in these processes. I know how to lead them from planning until completion and also take the role of a Product Manager. Understanding of web technologies: HTML/CSS, JS, Flash, PHP, Ruby, Java, Objective-C, SQL, git, hosting infrastructure. I know how marketers, copywriters, designers, developers, admins, UX designers work and how to use their skills in a project. I know how to edit HTML/CSS code, use online website creation tool WebFlow , process web graphics in Photoshop and Sketch, draw in Illustrator. I’ve taken part in projects in which Flash, AfterEffects, 3DSMax were the main tools. I’m an experienced Axure RP and UXPin user. I’ve created prototypes including advanced interactions between objects and scripting interface elements. I tend to do website prototypes myself in order to define the project's scope better and approve it with the project sponsor. I know Google Apps for Work well: Drive, Docs, Hangouts, Calendar, Sites and, of course, Gmail. I can manage YouTube channels. I’ve worked with MailChimp and, Zapier as well. I know well some web-based project management and communication tools: LiquidPlanner, Asana, Bitrix24, BaseCamp, Trello, Slack. I’m certified in Analytics IQ, I know how to create accounts, analyze traffic data with standard reports, build nonstandard reports and set conversion goals. I understand how Analytics works and how is it connected with Webmaster Tools or AdWords. I know general SEO rules and how to enforce them. Using standard project team tools like: MS Project, mindmaps, wikis, bug trackers, timesheets. Preparing documents defining rules in a project or company/branch, leading training courses for new employees, periodic reporting of progress and risks in a project. Preparing sales slide show presentations and cost estimates, budgeting and invoicing. I’ve worked both on the agency’s and the client’s side. Apart from English, I speak Polish (native), German (very well, C1 Goethe Insititut certificate) and Spanish (very well, DELE B2 Instituto Cervantes certificate). I’ve taken part in or led numerous multinational projects. I’ve worked with several CMS tools, WordPress being my favourite. I understand it from a developer’s point of view: I can install and configure it, know its file structure, can edit its front-end templates and install plugins. I've recently redesigned and rewritten my football blog at niecelnetrafienie.pl. Apart from practical experience, I have completed postgraduate Project Management studies. I also hold IPMA D, ITIL Foundation and Agile Foundation certificates. Project Managers work in a business environment of their clients or employers. That’s why I aim at understanding the company’s environment and the processes going on there as soon as possible. I engage in projects on every level in order to better understand how their stages are connected. This also gives me an insight into project risks and ways of mitigating them. I test products of my projects myself. It is of key importance to me to understand the solution delivered, especially to ensure users’ requirements are met and the solution is constantly being improved. I pay careful attention to defining project goals. This helps cut costs during the course of the project, so that the client does not finance the development of products they don’t really need. It’s a priority for me to make each of project members aware of their goals. They can then find better solutions, making achieving these goals faster and easier. I ensure that all project team members are respected and have a chance to develop new skills. I want each project to be a step further in improving processes and communication within an organization. I try to avoid long meetings that don’t move the conversation forward. I don’t schedule unnecessary tasks and schedule those necessary to be executed just in time. Project discipline ensures its schedule and budget are kept. That’s why I make sure rules and structures (status meetings, task teams) are sticked to. Without them, people can lose sight of project goals and disrupt their working rhythm. I expect projects sponsors to take key decisions in a project and support me in critical situations. I want them to understand that they can and should contribute to successful completion of a project. I always have in mind how producst of my project will be used in the future. I aim at maximalizing benefits for its users and revenues for the producer. Apart from my professional activity as a PM, I write about subjects I'm interested in. So far one book I co-authored has been published. I work on some more and will be adding them in this section. 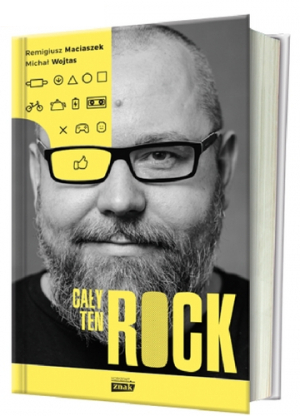 This book is about Remigiusz Maciaszek (a.k.a. Rock), one of Poland's most famous youtubers, whose gaming channel is subscribed by 1.5 million users. It tells a story of him growing up in communist Poland, then playing his first arcade games, buying Commodore 64 and Amiga 500 computers, a common experiences for the generation of today's 30- and 40 years-old gamers. The story follows Remigiusz' life until now and is is mostly based on several interviews I've done with him but also tracks the development of then-humble and now mighty industries: gaming and Internet broadcasting. Our book merges a biography and interview with an essay and a "how-to" guide for YouTube users willing to start a successful channel. If my profile looks interesting enough, please contact me.